Could Offering Spy Secrets To State Officials Help Safeguard Future Elections? Congress could arrange for state elections officials to view high-level secrets about potential threats to their elections. First, they need security clearances. Could Offering Spy Secrets To State Officials Help Safeguard Future Elections? A congressional proposal aims to allow federal authorities to share more information — and to do so more quickly — with state officials about threats to their election systems. Congress could authorize "top secret" security clearances for each state's chief election official to help protect voting systems from cyberattacks and other potential meddling. That provision, which was part of the Senate Intelligence Committee's 2018 policy bill for U.S. spy agencies, is one of the first concrete steps that lawmakers have taken to try to defend future elections from the sort of foreign interference that plagued the 2016 presidential race. The Department of Homeland Security is working on a parallel track to provide clearances to state election officials, a spokesman said. The Senate panel is one of two congressional committees investigating what the American intelligence community says was a Russian government campaign to undermine the U.S. democratic system, discredit Hillary Clinton and help Donald Trump win. The Senate Intelligence panel included language that would require Director of National Intelligence Dan Coats to set up the clearances for state leaders in its annual bill setting policy for the intelligence community. The National Association of Secretaries of State welcomed the idea. "We've been seeking that kind of clearance for months," said association spokesman Stephen Reed. Russia's efforts to interfere in the 2016 election included state systems and contractors. Intelligence officials have said that people with ties to the Russian government targeted election-related computer systems in at least 21 states during last year's campaign. The voter registration system in Illinois was actually breached, but records were not altered or deleted. 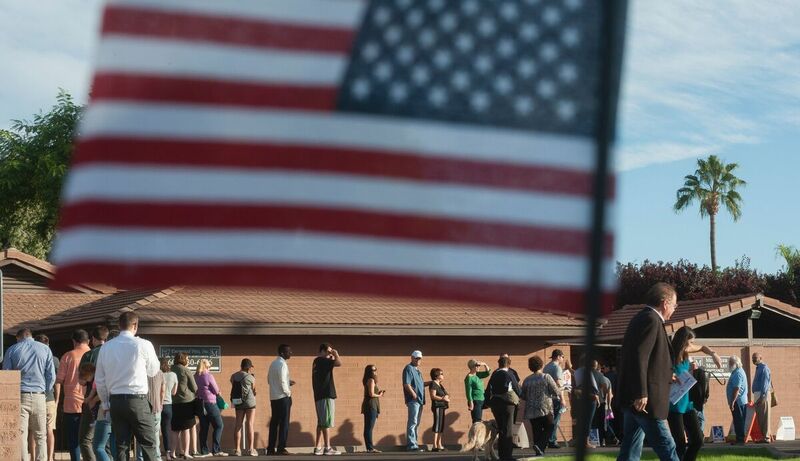 An attempt was made to hack the voter registration system in Arizona. Officials have repeatedly said there is no evidence that vote tallies were affected. The Senate committee's bill would require Coats to sponsor a security clearance "up to the top secret level" for each state and territory's chief election official and one other person, such as a top aide. Coats could then "share appropriate classified information related to threats to election systems and to the integrity of the election process" with those who have received clearance. The proposal aims to allow federal authorities to share more information — and to do so more quickly — with state officials about threats to their election systems. The federal government is currently constrained in what it can tell state leaders because, in most cases, they are not cleared. In the heated runup to last year's Election Day, state officials complained about the information — or lack of it — that the federal government shared regarding specific threats to election systems. At least one state elections vendor was the target of a Russian cyberattack, as detailed in a leaked report from the National Security Agency. The Senate Intelligence Committee approved the bill late last month in a 14-1 vote. The legislation must still be passed by the full Senate, and then negotiations would begin about the final details with the House. Coats' office declined to comment on the measure, but it's unlikely the committee would have included the provision in the legislation without discussing it first with intelligence agency bosses. A "top secret" clearance level is not the highest, and it would not give state election officials access to the country's most sensitive information. But it would allow U.S. intelligence agencies to tailor the information they collect to the needs of state officials. In the closing weeks of the Obama administration, then-Secretary of Homeland Security Jeh Johnson designated the nation's election systems as critical infrastructure. He said the move would allow federal authorities to provide more support to state and local election officials. Many of those officials, however, opposed the designation over concerns that it meant the federal government would take over the election process, which is a state and local responsibility. DHS also has taken steps toward providing classified information to state officials, although at the lower "secret" level, according to a department spokesman. In early August, DHS sent emails to the chief state election officials with the paperwork to begin the security clearance process, said Reed, the National Association of Secretaries of State spokesman.